Club Atletico Olimpia Montevideo (LUB) inked 29-year old American power forward Dominique Keller (205-113kg-88, college: Illinois). He played in the summer at Olimpia in Paraguayan Metropolitan League. 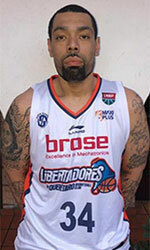 In 6 Liga Sudamericana games he averaged 8.7ppg and 3.7rpg. Keller also played for Frayles de Guasave in Mexican CIBACOPA that season where in 15 games he had very impressive stats: 15.2ppg, 5.8rpg, 2.3apg and 1.1bpg. The other team he played shortly was Garra Canera de Navolato (CIBACOPA) in Mexico. In only one game he recorded also remarkable stats: 18 points, 4 rebounds, 5 assists, 1 steal and 1 block. Another team Keller played that season for was Aguilas Doradas de Durango (CIBACOPA) in Mexican league. In 17 games he got high stats: 17.2ppg, 4.8rpg and 2.1apg. He won Paraguayan Metropolitan League Clausura championship title. Keller was selected to Israeli National League All-Star Game in 2016. He is a very experienced player. Keller has quite traveled the world as his pro career brought him to eight different countries on four different continents (Europe, Latin America, Africa and of course North America). Keller has played previously professionally in Argentina, Dominican Rep., Japan, Morocco (MCO Mouloudia Oujda), Slovakia (MBK Rieker Com Therm Komarno and Levice), Israel (Ironi Ashkelon), Uruguay (Trouville and Union Atletica) and Mexico (Mineros de Caborca and Vaqueros). 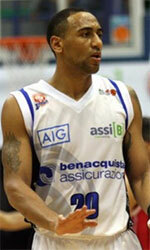 He attended University of Illinois until 2010 and it will be his eighth season in pro basketball. Keller's game is described as: Very athletic player who plays multiple positions very well. Good scorer inside & out and an excellent mid range & 3 point shooter. Tenacious rebounder and defender. Can guard any position on the floor. Very tough and physical player who will not back down from anyone. Great teammate and leader in the locker room who sacrifices for the betterment of the team. Can and willing to play in any system.